Are you a fan of Apple Macintosh computers? Do you run Mac OS X Lion or Mountain Lion? Are you planning on upgrading to Mavericks? You should be wondering about the viruses, malware, and Internet security on Apple Macintosh systems. It is appalling to know that there are many threads online talking about antivirus on Mac, and some so-called ‘experts’ say there is no need for an antivirus on Macintosh. They couldn’t be more wrong. 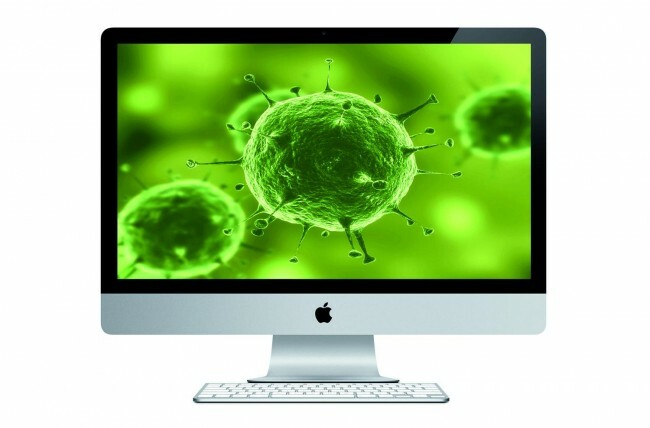 Although there are very few viruses affecting Mac in comparison to PC, there are. Viruses and malwares are increasing in the Mac domain as well, and Apple is getting concerned about them quite a bit. Hence, it is imperative that you install an antivirus and Internet security application on your Mac computer. Recently, NYTimes Bits posted about widespread virus attacks on Macintosh. Here is an image showing the major malware and viruses on Mac. In this time, you very much need to get a very good antivirus and Internet security application for Macintosh. One of the best out there is Intego Mac Internet Security 2013 . Intego has a number of products to protect from viruses, malware, and web-based attacks—Internet Security Suite (involving antivirus), Family Protector, and Virus protector for iPhone’s iOS, etc., are a few. The application supports Macintosh systems, OS X 10.6 or later (Snow Leopard or later). Needs 1.5 GB of hard disk space and installs in French, German, Japanese, and Spanish besides English. The application should be updated frequently over the Internet as well. Mac Internet Security is also available as a free trial option. The application provides protection against not only Mac viruses, but also Windows viruses, Trojans, Worms, hack tools, spyware, adware, keyloggers, and fake security applications. Since it detects and prevents Windows viruses as well, it prevents your Mac from being a carrier of Windows viruses and thus infect other Windows computers that connect to it. Other standard features of the application include scheduled scans, real time protection, frequent virus updates via the Internet, scanning options on file attachments on Mac mail, etc. There is a special iOS edition of the antivirus, that can be installed to your iPhone or iPad to protect them from viruses and malware. It can work exactly like an Internet Security suite on Windows and can scan all the installed programs on your Mac and find out any suspicious application behavior. This keeps a log of rogue applications, if any, and keeps monitoring all installed and new applications to make them work properly. Intego has a number of personal and business security products priced very reasonably. If you have a Macintosh computer, you are fortunate that you won’t have too many viruses or malware. However, this is no consolation at all. Every day Mac is getting more and more popular, and hence virus coders and hackers are getting interested in the OS. They have been successful in finding several security holes on the OS. Hence, it goes without saying that you should secure your Mac operating system with an antivirus.